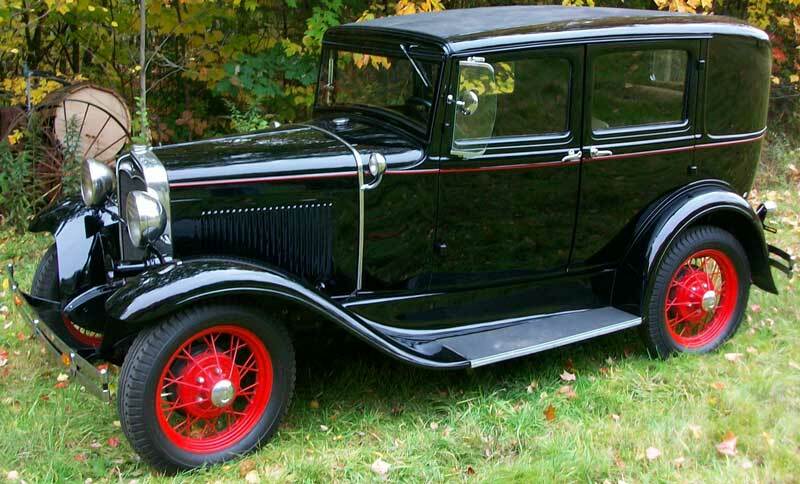 This black 1931 Ford Model A slant window two window blind back 4 passenger 4 door sedan is a very scarce older restoration ready to be enjoyed. There are very few 1931 slant window blind back fordor sedans known to exist. The car has red accent stripping and red wheels. The paint is nice but not perfect. The body is very straight and rust-free. The tan interior is very well done to correct specifications. 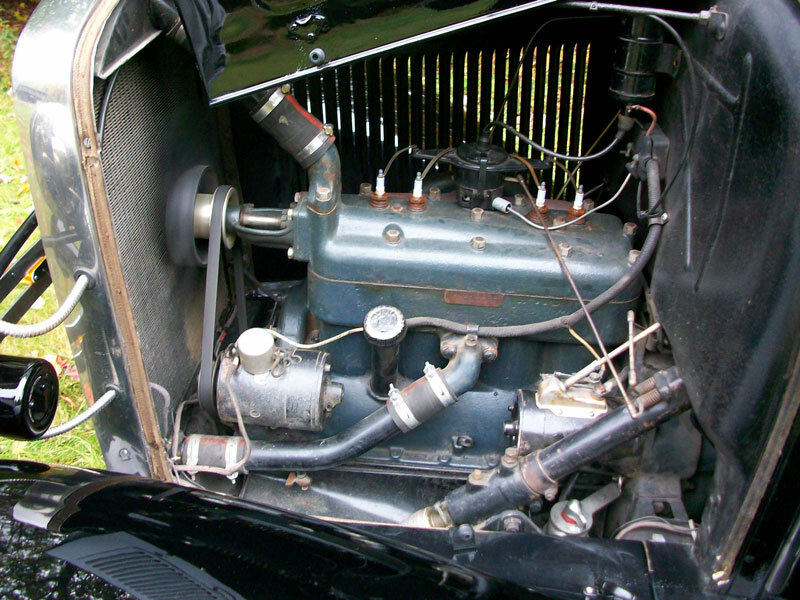 The 200.5 CID L-head inline four cylinder 40 HP motor and 3 speed manual floor shift transmission work well. The chassis and suspension are stock and in good condition. The car runs and drives well. 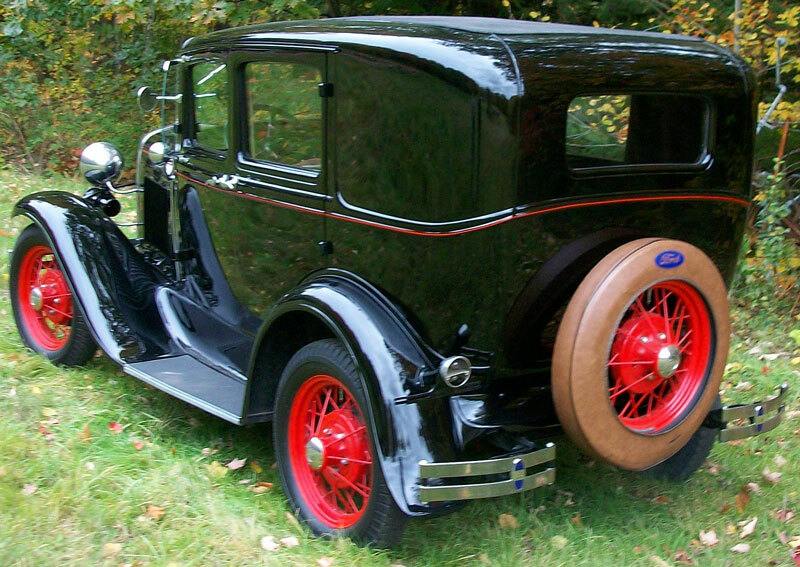 Here is your chance to own a very scarce 31 Ford blind back sedan. 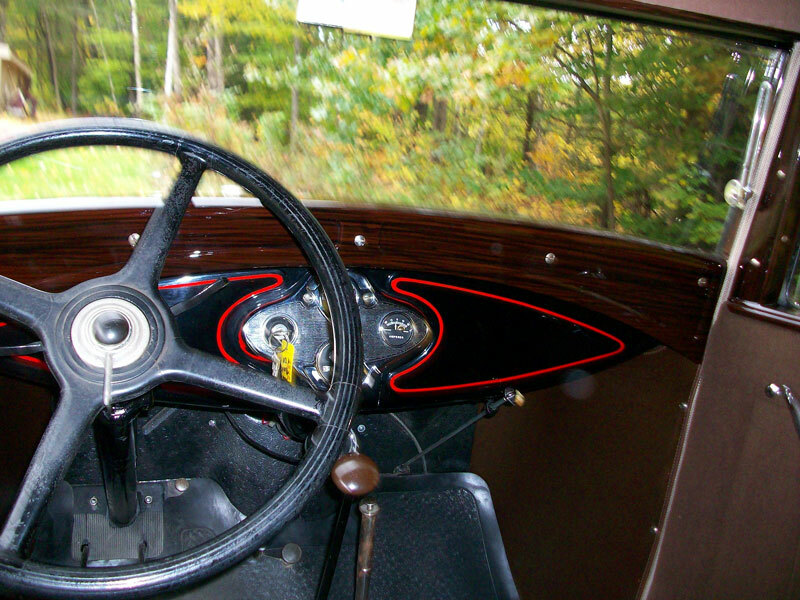 Please call (406) 318-0270 for details about this restored classic 1931 Model A car. For sale $27,000.